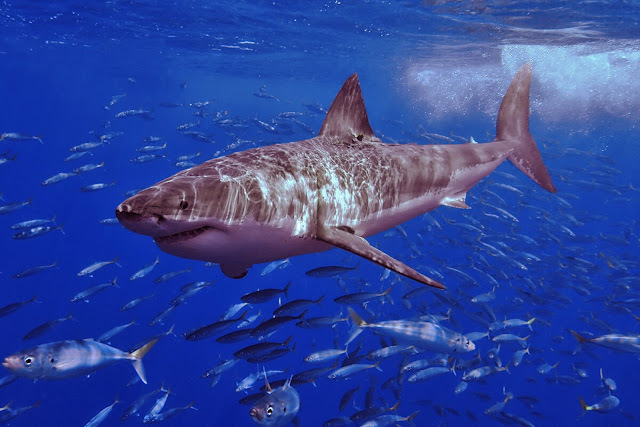 For all shark fans and enthusiasts here is our gift of 20 shark HD wallpapers that are absolutely stunning. These wallpapers are suitable for desktop wallpapers of your Windows PC, Laptop, Mac, Android Tablet, Mobile, iPad and iPhone. These wallpapers are HD. Resolution of all these are 1800x1200. Some pictures will also have 1600x1200 resolutions, that is best for iPad. 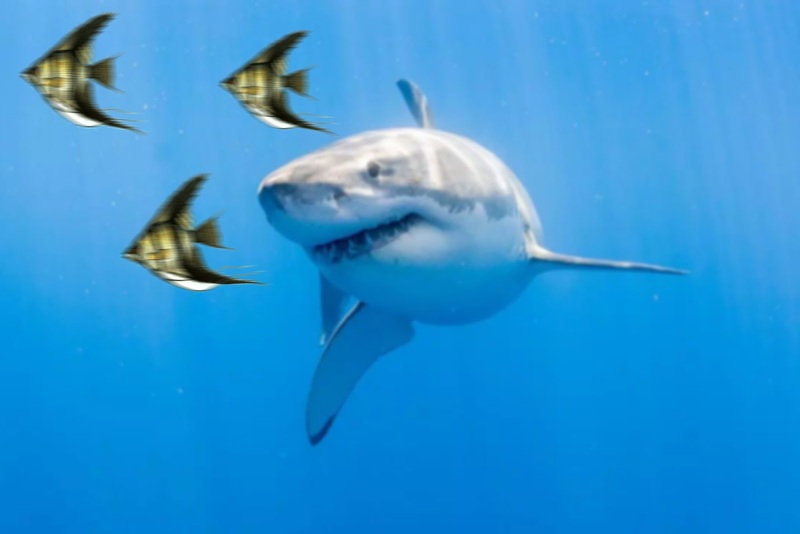 Look at these Great White Shark (Carcharodon carcharias) wallpapers. Do you know that another name of this shark is “White Death”? There are three wallpapers. 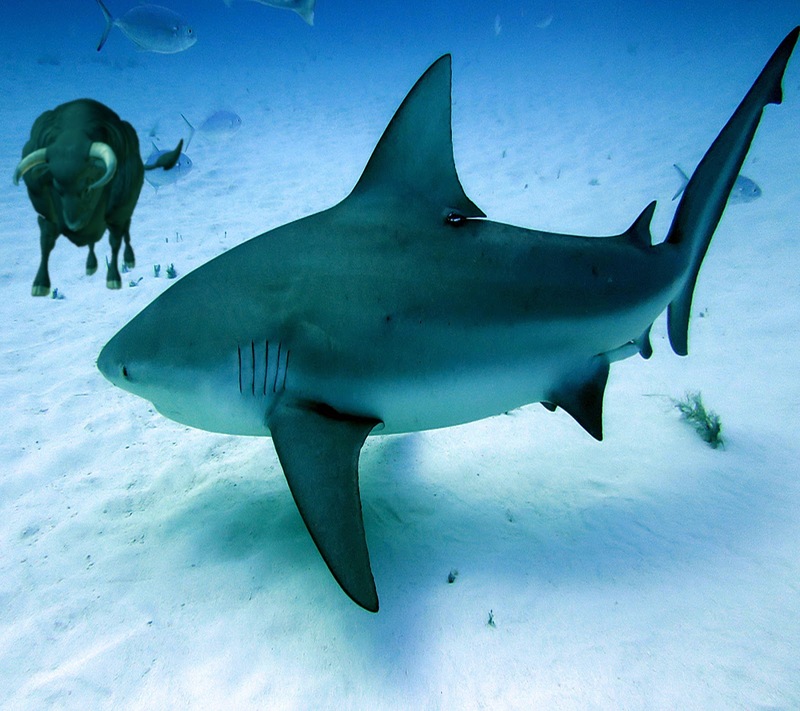 Here is a Bull Shark (Carcharhinus leucas) or Zambi shark wallpaper. Look at the bull under the sea ready to fight with it. Do you know that it is more dangerous to humans than the Great White Shark? The bull shark even can live in the freshwater of rivers and lakes. 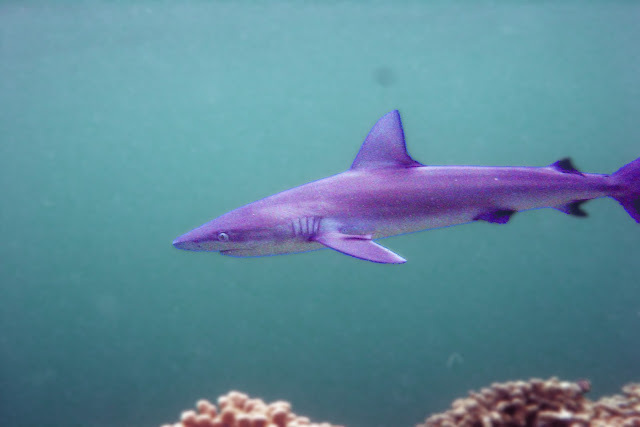 Galapagos Shark (Carcharhinus galapagensis) lives near the coral reef islands. 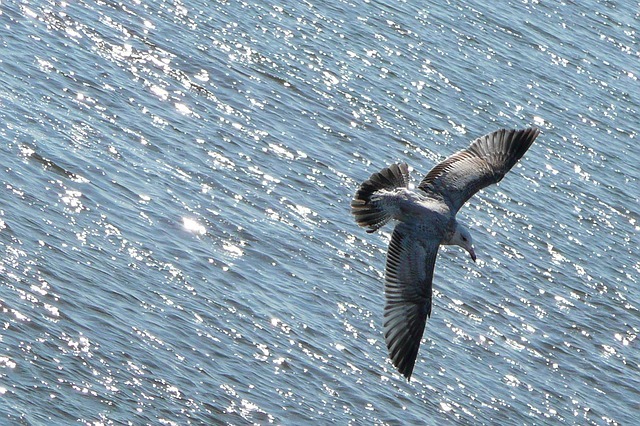 They prefer to live in clear seawater. 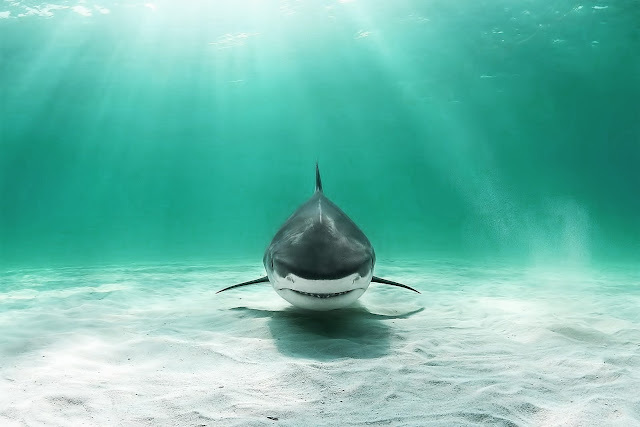 Here is a great HD wallpaper of the shark. 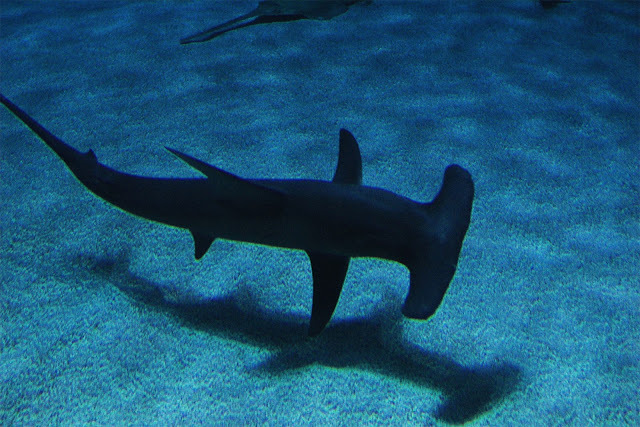 Hammerhead Shark is one of the weirdest looking creatures of the oceans. Look at the hammer like face of the fish. Do you know that the hammer like thing is called a “cephalofoil”? 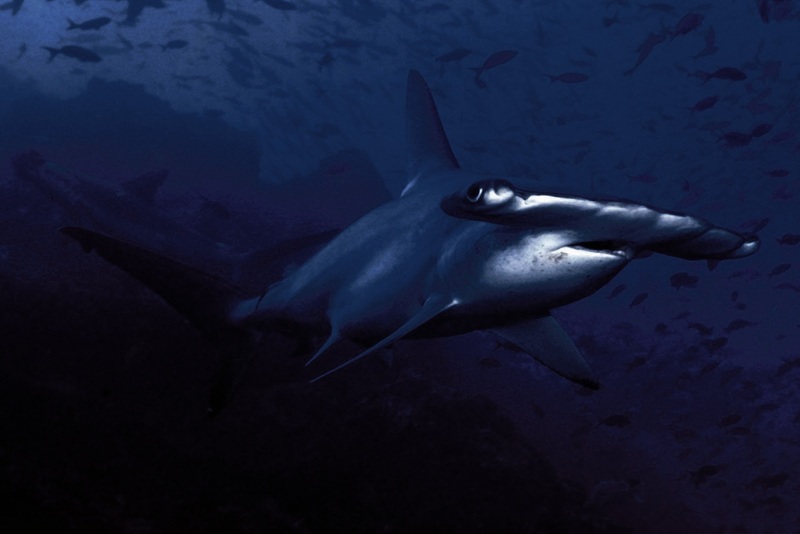 Though they look almost same, there are 10 species of hammerheads found today. 70% of these species are totally harmless to humans. Here are 4 wallpapers of the shark for you. There is another funny looking guy for you guys, a shark with a saw. 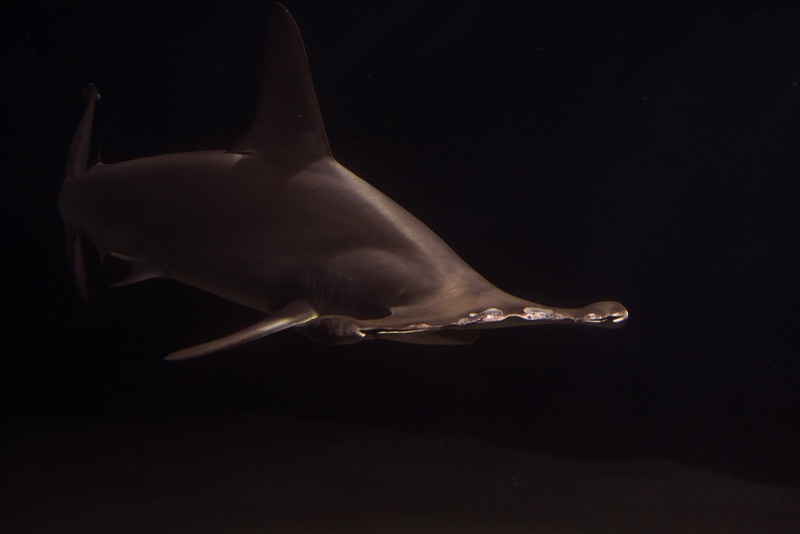 Sawsharks have long saw like snout and it is armed with teeth in both sides. They look scary but we do not have to worry about them because of their smaller size and their deep sea homes. 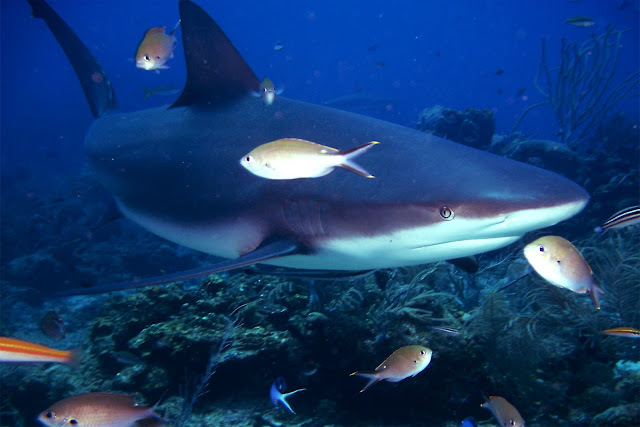 The grey reef shark (Carcharhinus amblyrhynchos) lives in the shallow waters near the coral reefs. 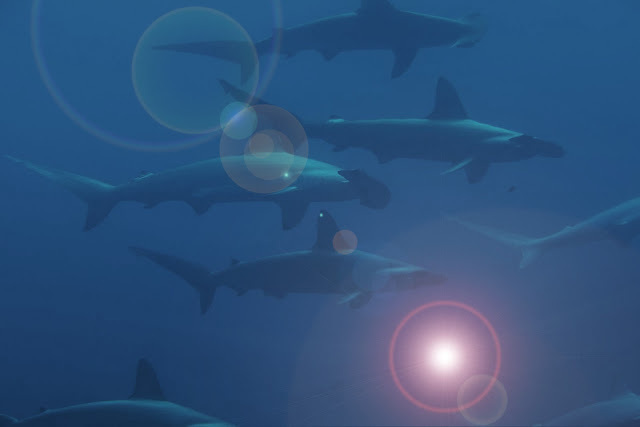 These sharks form large groups. They are also very fast and aggressive. Lemon shark (Negaprion brevirostris) lives in groups. They exhibit many complex social behaviors in these groups. Due to its light yellow skin, the shark got its name. Here is a cool Lemon Shark photo for you. 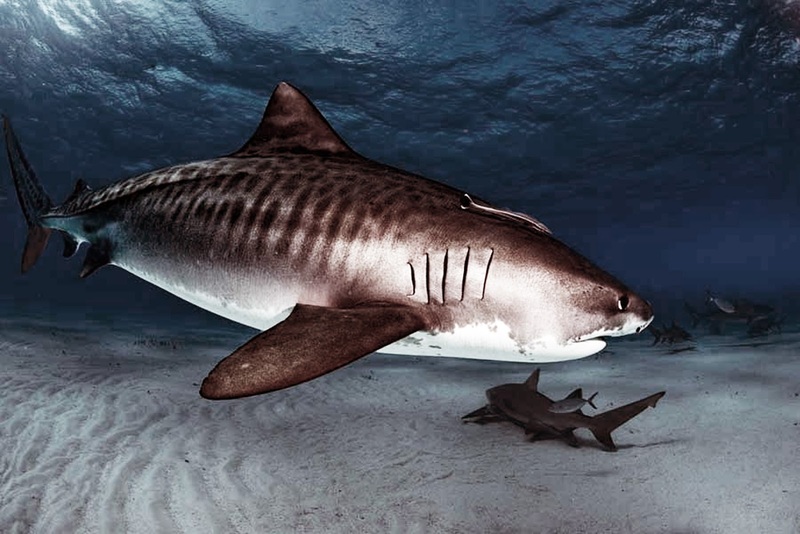 There are two different types of Whitetip sharks – Oceanic and Reef. 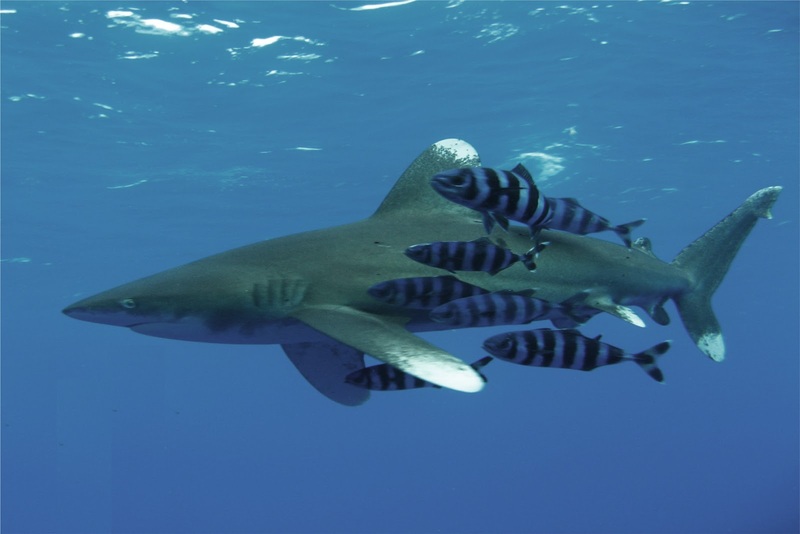 The Oceanic Whitetip sharks live in warm and deep oceans. It is an aggressive and dangerous shark. The Reef Whitetip sharks are smaller in size and not very aggressive in behavior. 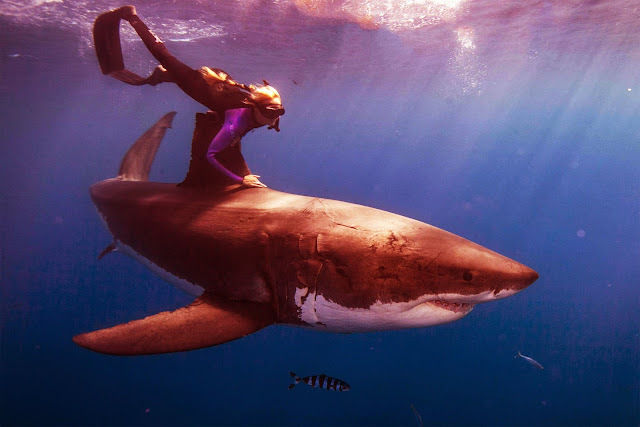 Look at the white color at the tips of its fins. 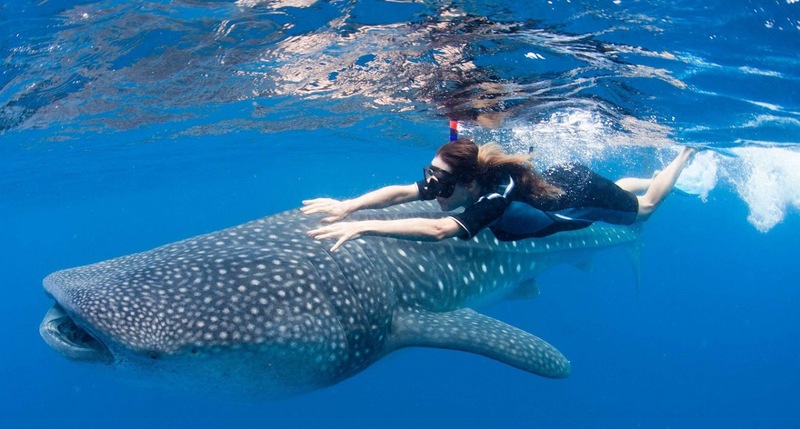 Whale Sharks (Rhincodon typus) are gentle giants. They are the largest fish in the world. 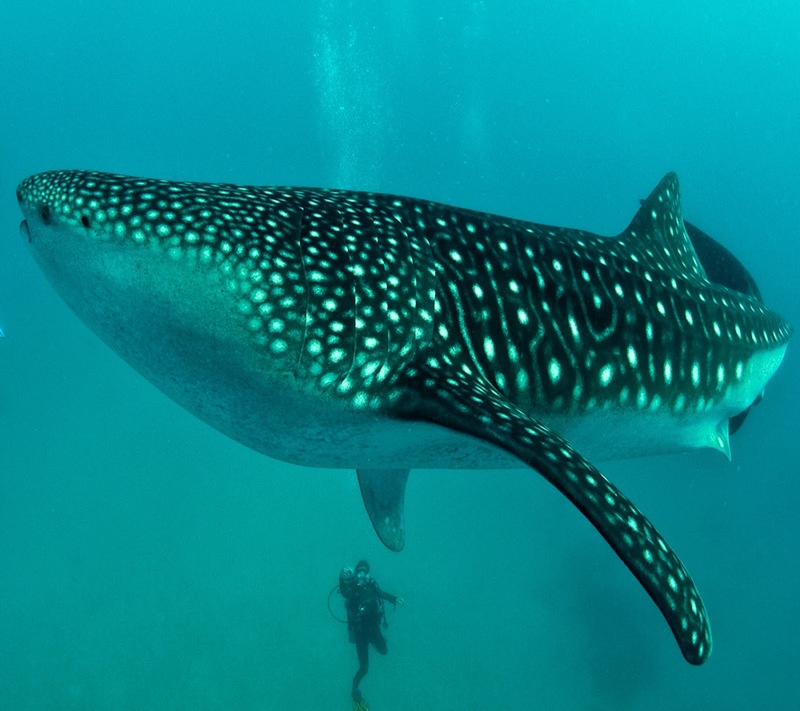 Whale sharks that are bigger than 40 feet are not uncommon. 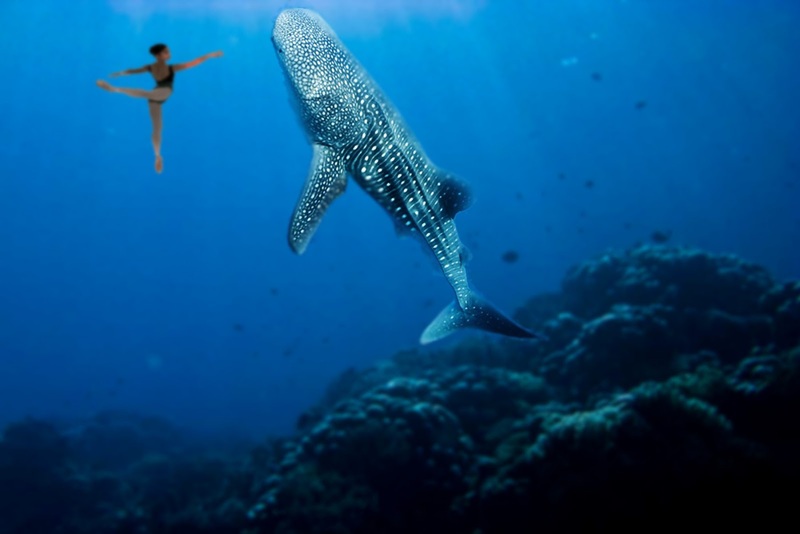 Here are three most beautiful HD Whale Sharks images. Tiger Shark or Sea Tiger (Galeocerdo cuvier) has a cool name. There are tiger like stripes in their body. The sea tiger often reaches the length of 15 ft.
Three Angelfishes have sense the danger. They have felt the great predator looming large behind them. So, they are trying to flee. 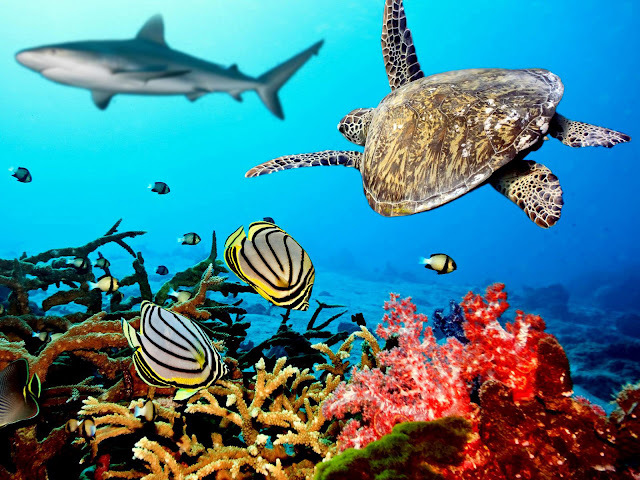 Coral reefs are not only abode to colorful small fishes, shrimps, sea anemones and crabs. 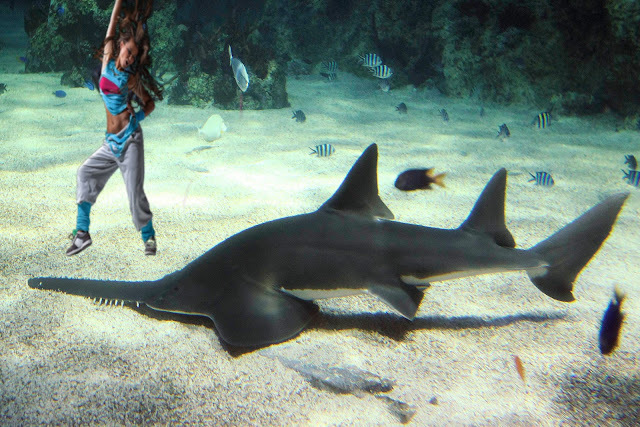 It is also full of several species of sharks. Here is one in this photo. 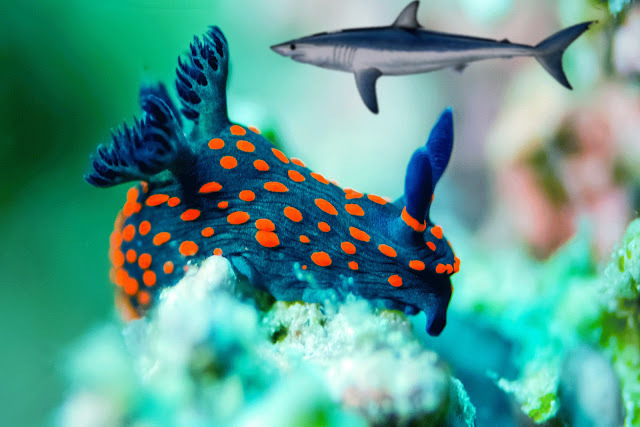 Nudibranches are colorful sea slugs. They live in coral reefs. They can have many weird body shapes. Some of these are too beautiful while others are downright ugly. Do you want a pilot whale wallpapers? 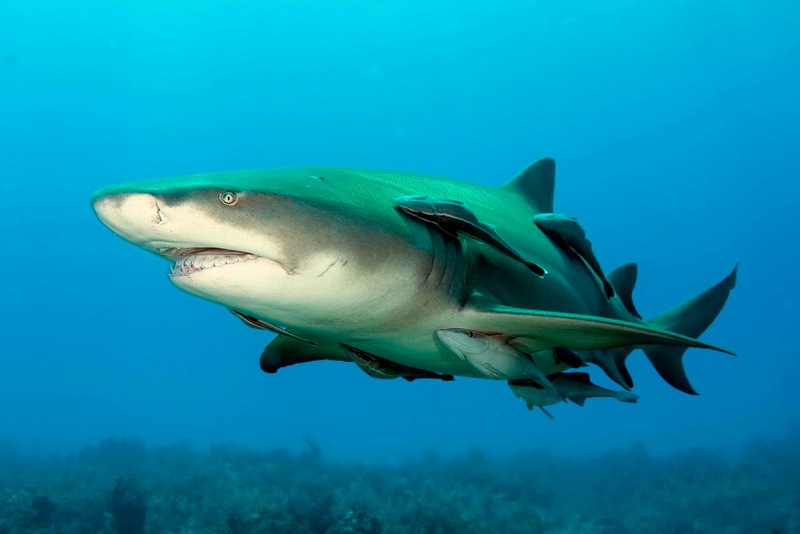 You may also want to know about lemon shark facts.